UNCASVILLE, CT (April 1, 2019) – No matter how you celebrate, Easter is a wonderful time to gather loved ones and ring in a new spring season with a memorable meal. Whether you’re busy with work, travel or simply don’t want to cook for the holiday, Mohegan Sun’s restaurants are surely serving up delectable cuisine on Sunday, April 21st. UNCASVILLE, CT (December 17, 2018) – Treat yourself to a delicious meal when Restaurant Week returns from January 20th – January 24th. Dining specials & discounts will be offered at many of the top restaurants across Mohegan Sun, and along with that, diners will be able to learn tips and tricks from culinary masters during live cooking demonstrations in The Shops at Mohegan Sun by Sun Wine & Food Fest chefs Jason Santos and Michele Ragussis! UNCASVILLE, CT (June 6, 2018) – Father’s Day is right around the corner on Sunday, June 17th and Mohegan Sun is here to help make it a memorable one. From Hash House A Go Go, Michael Jordan’s Steak House and Soltoro to Tommy Bahama and The Art of Shaving, the opportunities to spoil dad across Mohegan Sun are endless. UNCASVILLE, CT (February 1, 2017) – Treat your loved one to a day they will never forget at Mohegan Sun. Valentine’s Day is getting extra romantic this year with dining and shopping specials all throughout the month of February! This Veterans Day, to honor those who have protected our country, Mohegan Sun offers up discounts and deals for both active and retired military members. Enjoy a week of specialty menus and dining deals during Restaurant Week at Mohegan Sun. Many of the restaurants at Mohegan Sun have prepared exciting courses paired with great deals in celebration of Restaurant Week. UNCASVILLE, CT (June 18, 2014) – There is no hotter place to party than in the Sun this summer. 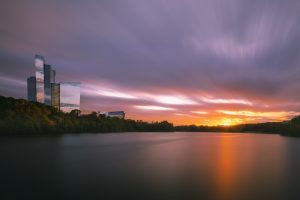 Mohegan Sun has some of the premier party spots in the region all under one roof and during Sultry Saturdays, nightlife is the name of the game. The summer is twice as nice at Mohegan Sun during Hot Summer Fun, with two times the points, shopping & dining deals and bus offers!